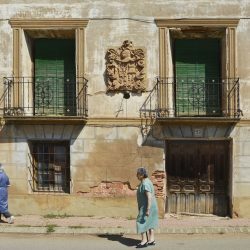 This is the latest installment of Public Streets, an urban observation series created by Ellis Avery and curated by Abigail Struhl. View South from Sibley St. along Park Ave., Detroit, 1991. At the time of this photograph, Detroit had the largest concentration of vacant skyscrapers in the world. 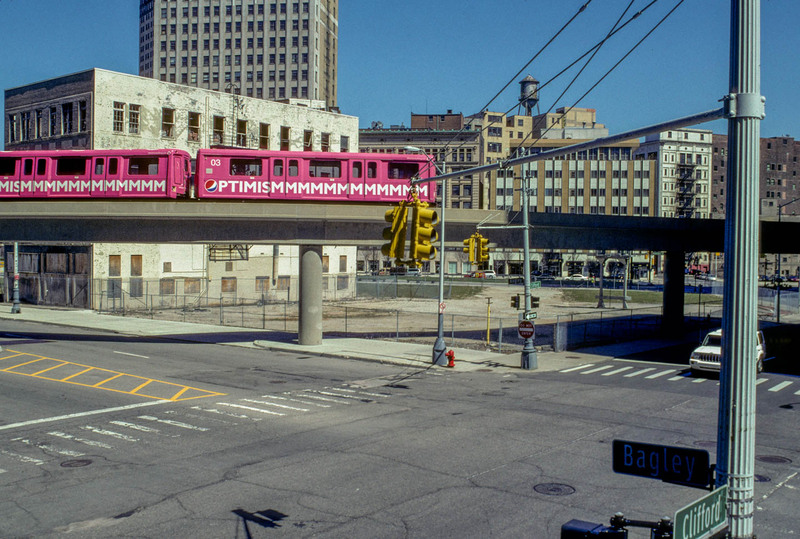 “Optimism,” written on the People Mover, expresses the prevailing sentiment in Detroit: “If you can’t say something nice about something, don’t say anything at all.” View from the Michigan Building, Bagley Ave. at Clifford Street, Detroit, 2009. 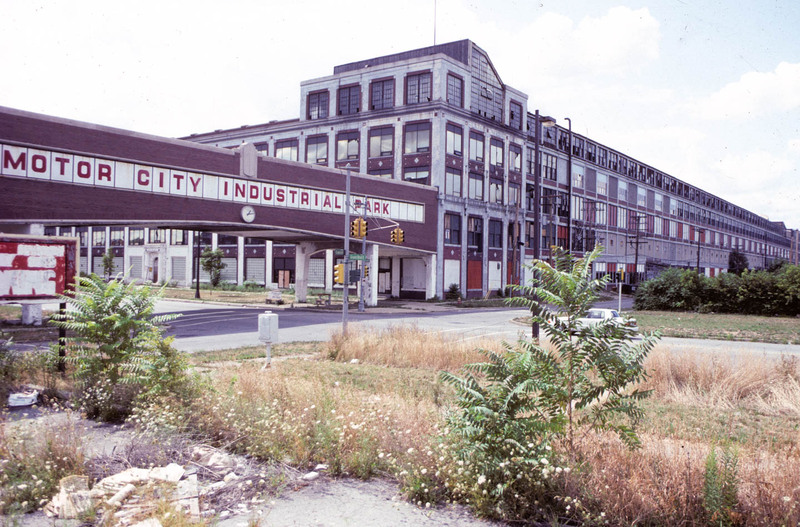 Former Packard Plant, E. Grand Blvd., at Concord, Detroit 1991. 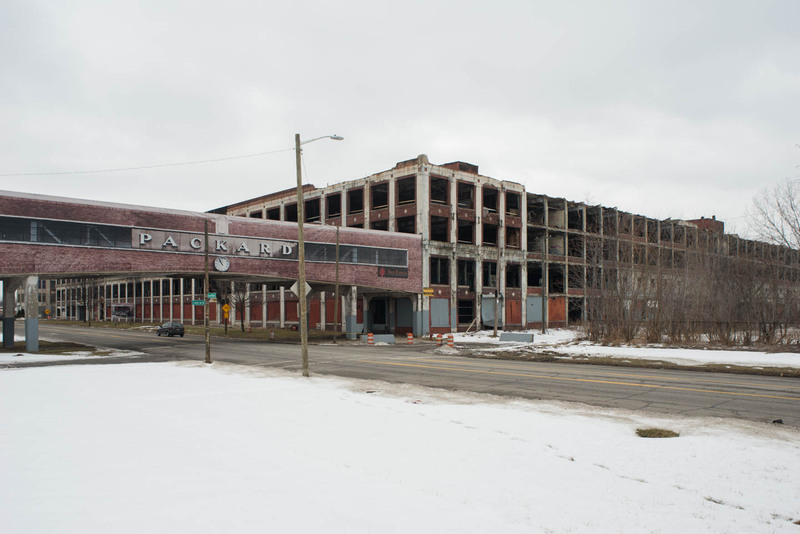 Albert Kahn designed the early buildings of the Packard Automotive Plant, which was in operation from 1903 to 1958. Later renamed Motor City Industrial Park, the building became an incubator for about 200 small businesses including auto repair shops, an industrial laundry, warehouses, and recycling centers. 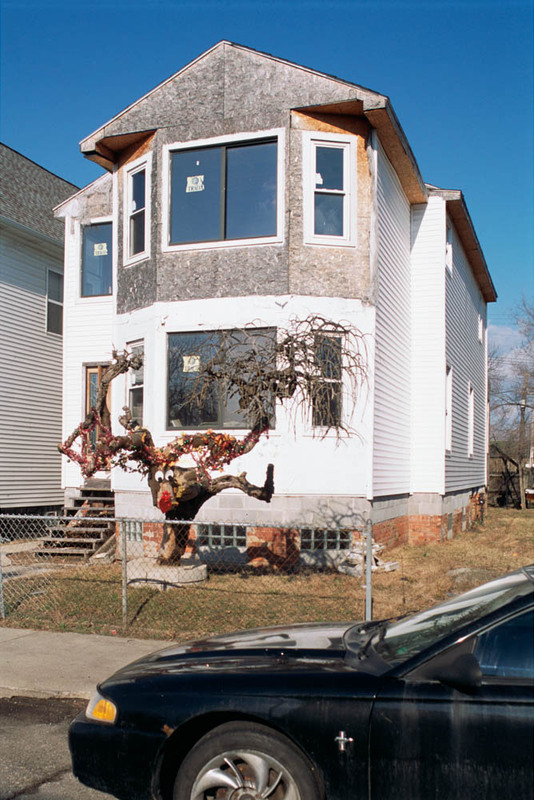 3497 Mack Ave., Detroit 2014. Once it had the whole roof burn’t off. It doesn’t make much sense to fix it. Somebody from the family wants to buy the house and start working on it again. The tree in the front yard just fell over, it was alive even though half half burnt, now is dead. “that Moose Tree” as Juanita Davis the neighbor called it. Moose, is the signature that makes the property stand out. Somebody offered to buy the tree. 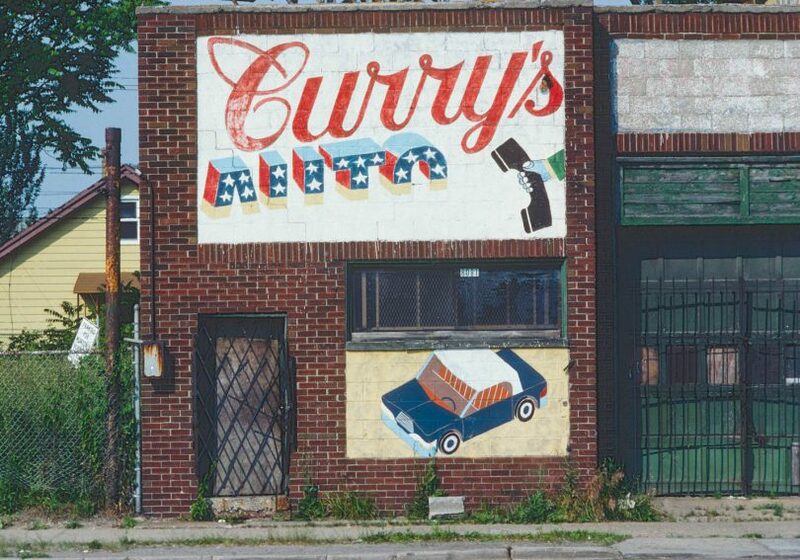 Curry’s Auto, 8081 Livernois Ave., Detroit, 1998, Sign by Eugene. 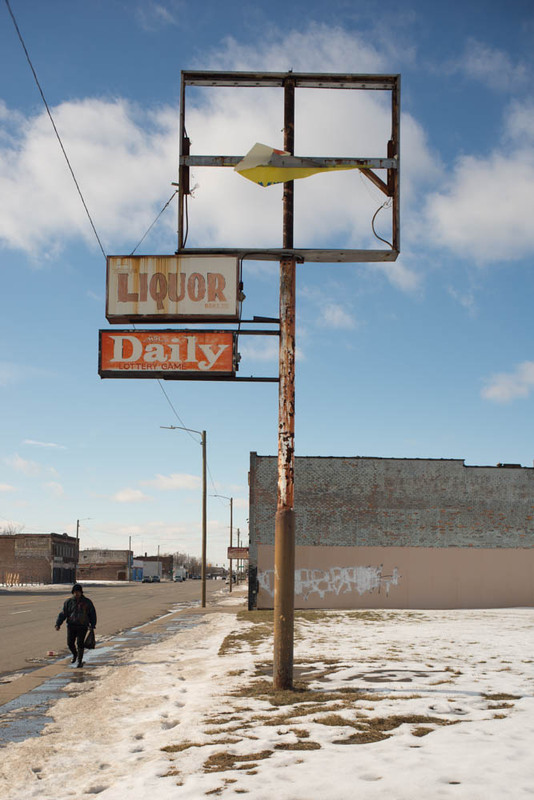 In February, just after a big snowstorm, I revisited Detroit. It was my second trip there since my book Detroit Is No Dry Bones was published in November 2016. 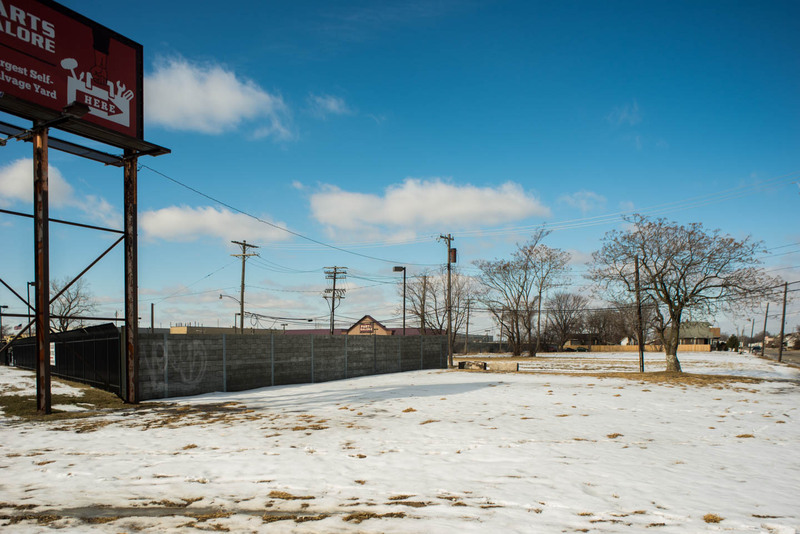 I was eager to see how Detroit is progressing as investment flows to its core 7.2 square miles, spreading hope to even the city’s most desperate neighborhoods. With a 36 percent poverty rate, Detroit still ranks as one of the poorest and most violent large American cities; but despite poverty, crime, and a struggling school system, many ghetto residents share the view that the city as a whole is coming back. 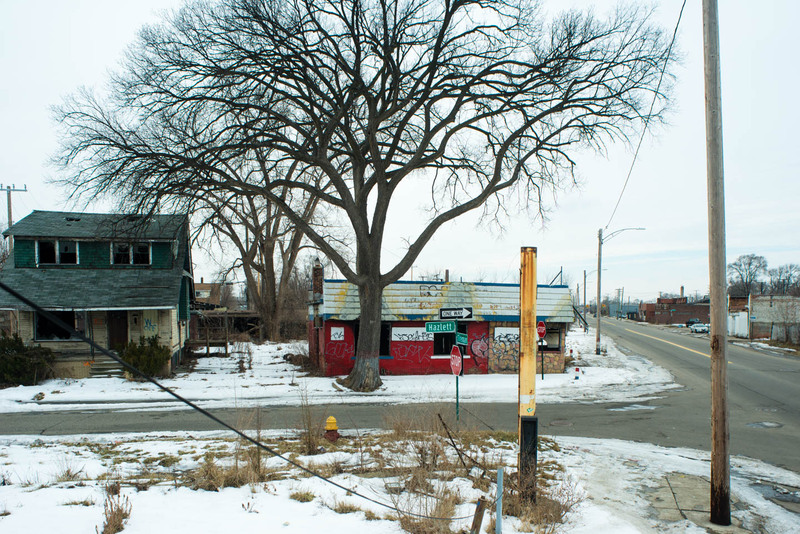 Boosters refer to Detroit as “the Comeback City,” and Crain’s Detroit has a regular column called “Detroit Rising.” Yet the narrative of Detroit being on the rise overrides stories of living amidst decay in the neighborhoods outside of the rapidly gentrifying downtown. 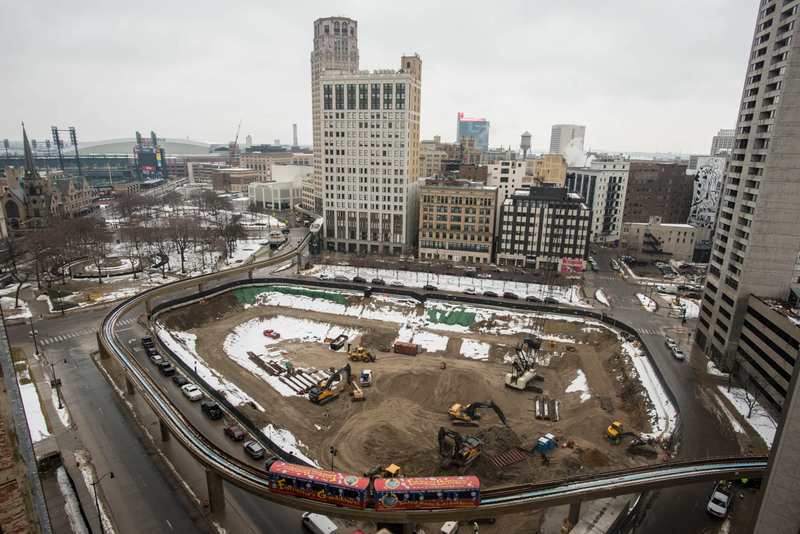 Thanks to the efforts of billionaire Dan Gilbert and his development company, Bedrock, ruins have disappeared from downtown Detroit. 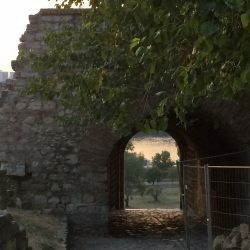 The city center has again become a source of pride for the region. During an interview in the YouTube program A Drink With, Dan Gilbert comments that in 10 years, the “whole skyline is going to be completely different and that will be the main thing people will notice.” He should know. On the site of Hudson’s, once the second largest department store in the nation, he is building the tallest skyscraper in Michigan. 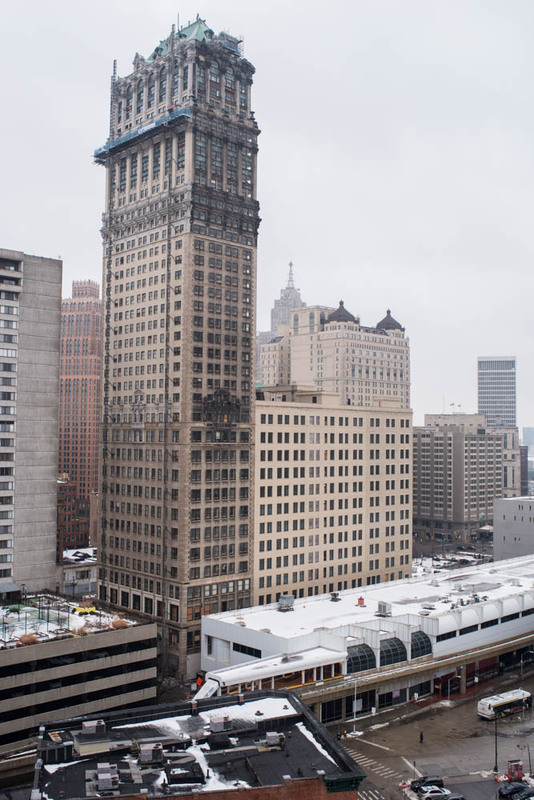 According to Nolan Finley of The Detroit News, this new behemoth means that “Detroit is back, that Detroit is first class, that it’s not doing things small, that it’s doing things very, very big.” The building will rise to a height of 800 feet and is expected to be completed by 2020 at a cost of $900 million. One of my stops in downtown Detroit was the Z parking garage, decorated with murals by artists selected from all over the world. 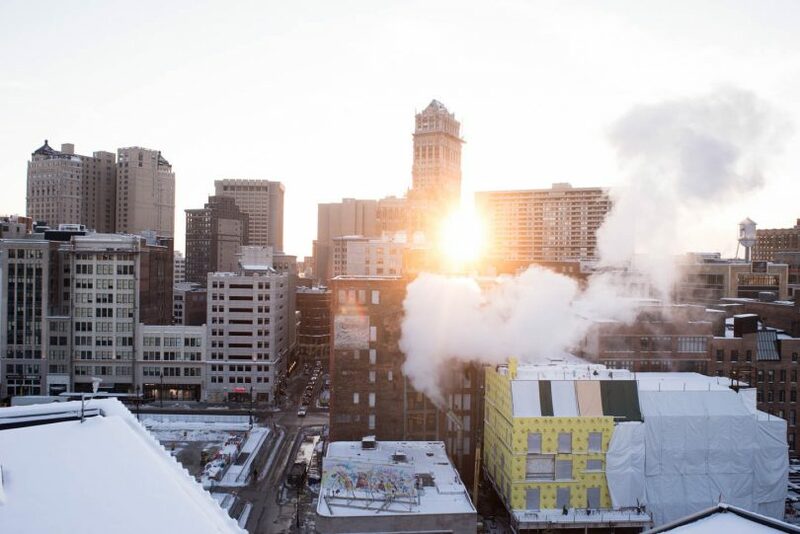 As I stood on the roof looking east, the setting sun seemed to be giving its blessing to more than 20 recently refurbished buildings and to the new yellow Shinola Hotel under construction. Another good sign is that the Book Tower, a 38-story Renaissance Revival skyscraper, along with the adjacent Book Building, is being refurbished. Until recently, this vacant skyscraper—with its grimy exterior and large drum antennas atop its palazzo-style roof—looked like a sinister home for zombies. A quarter century ago, looking south from the top of the Michigan Building on Bagley Avenue, I marveled at the sight of a huge number of grand-skyscraper ruins, while imagining that some day their roofs might host small parks with trees, reeds, ponds, and migratory birds. Over the years, I have visited many of the abandoned skyscrapers, finding in them such things as file cabinets full of private documents, vintage dentist chairs, and, on the walls of former travel agencies, old posters for TWA and Pan Am. 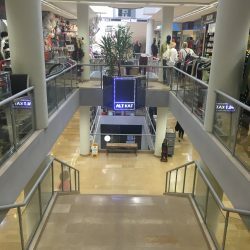 On the top floor of one of them, I encountered broken elevator machinery, dark pools of used oil mixed with dirt, soiled work gloves, and collections of screws and bolts. Elsewhere, beyond the booming downtown, the 24 miles of vacant land in the neighborhoods (the 131 square miles outside downtown and midtown) offer unobstructed views of the sky. 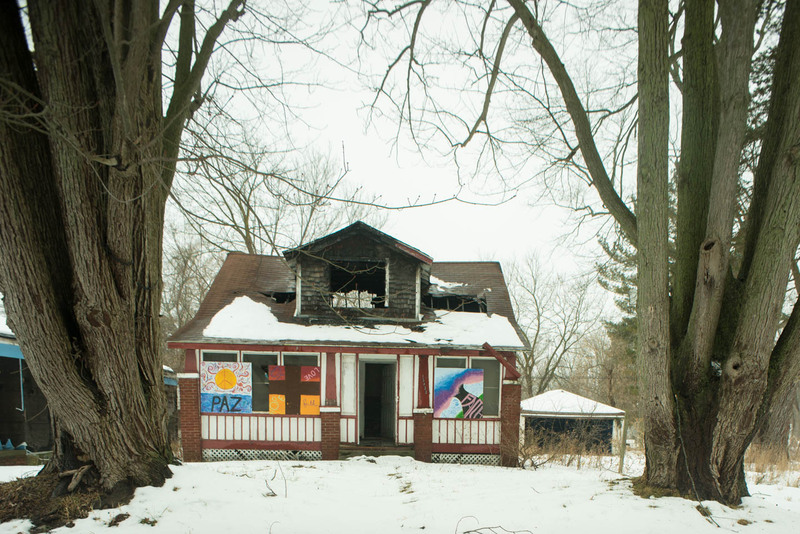 With more than 10,000 dwellings demolished since Mayor Michael Duggan took office in 2014, leveling the ruins may be the city’s most important single accomplishment. Maurice Cox, Detroit’s Director of Planning, expresses delight with “the opportunity to have the country in the city,” explaining that Detroit’s vacant land is its greatest asset. 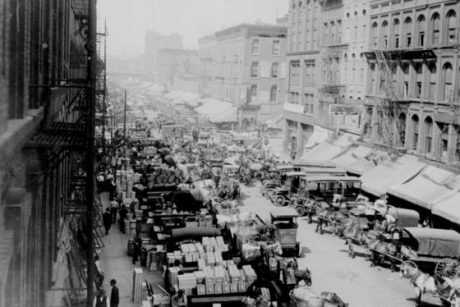 One of my projects is to describe survival strategies in those 131 square miles outside of downtown and midtown and to assess the significance of those strategies. I want to document the evolution of blighted structures, of crumbling buildings, of little ruins on the prairie. I hope to record the improvements and ephemeral adaptations—the temporary structures, the greenhouses, and the small new buildings—made by the more than half a million people still living in poor, segregated neighborhoods, showing how these processes reflect the lives of the residents. 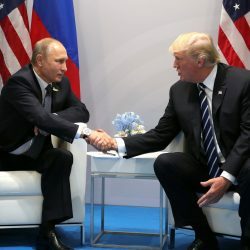 At the beginning of the anthology America’s Black Past, the historian Eric Foner wrote that among the “myths and misconceptions” of this country, “one of the most pervasive and pernicious . . . is the picture of blacks as inactive agents in history.” In the case of Detroit’s segregated neighborhoods, the myth lives on. 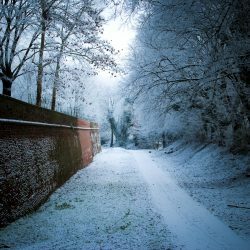 So I drive along the streets, re-photographing sites and developing and expanding stories culled from the terrain. For context I go to Google Streets, scour local media, and read numerous press releases from corporations, foundations, and City Hall. I focus on what makes my heart beat fast, what absorbs my attention, and what ordinary people tell me. 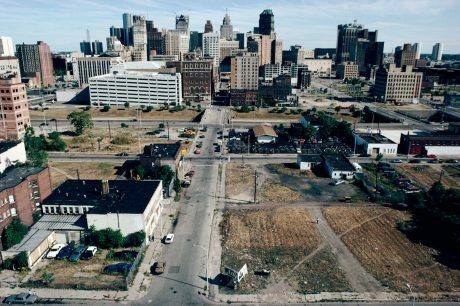 I am not particularly looking for what Curbed Detroit has called “transformational projects—those that change how we live, work, play, and get around our city.” Still, a friend discourages me from searching for any pattern at all that would help me understand Detroit. The city is “incoherent,” he tells me, and perhaps he is right. During this visit to the neighborhoods outside the city center, I became more aware of the thousands of derelict neon signs towering next to abandoned commercial buildings. Reduced to supports and frames, many signs no longer announce “hardware store,” “party store,” or “cleaners,” and now stand rusting and falling apart, a reminder of better times. Anti-graffiti workers have also played a role in removing their messages and in painting the frames gray. 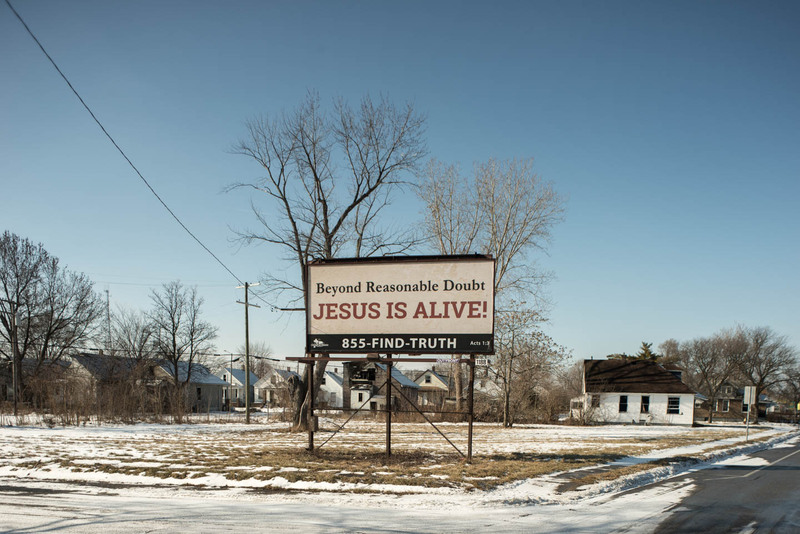 On a smaller scale than the derelict signs are the religion-themed billboards found only in the neighborhoods of Detroit, not in the carefully curated downtown. 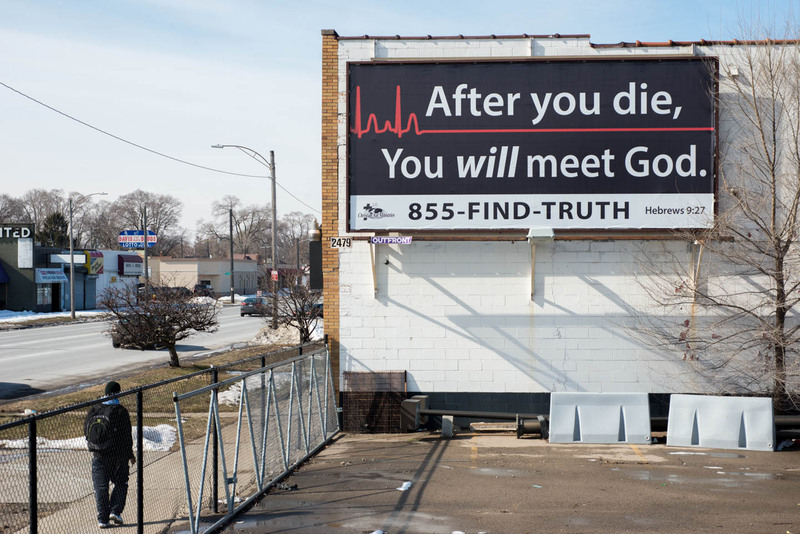 One billboard, conveniently placed by the emergency room of Sinai-Grace Hospital, reads: “After you die you will meet God.” Another one, looming over abandoned homes and empty lots, states: “Jesus is Alive Beyond Reasonable Doubt.” But gone in 2018 are the eye-catching billboards by Crime Stoppers that asked, “Do You Know Who Killed Me?” next to portraits of murder victims. 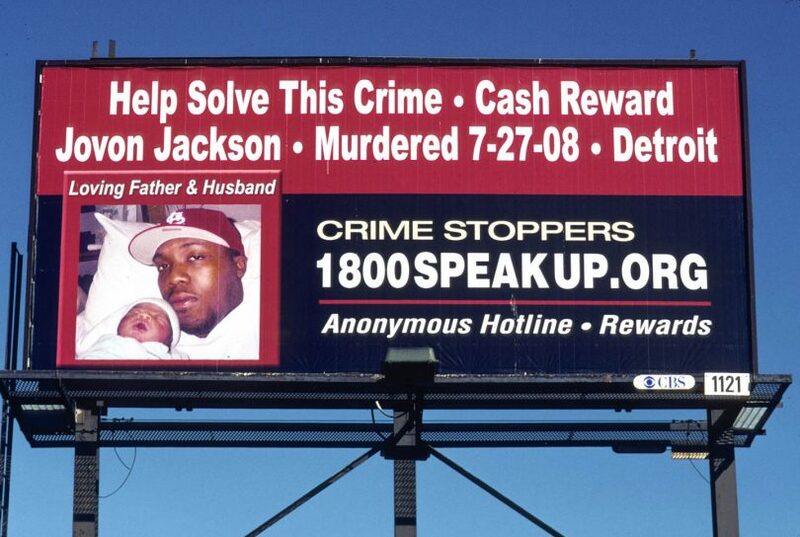 I recall in particular the 2009 billboard on East 7 Mile Road devoted to Jovon Jackson, a man wearing a red baseball cap and holding his newborn baby. And now I no longer see sign painter Eugene’s playful murals and advertisements. I miss his boxy “bite the dust” cars with license plates that read “ABC 123.” His lettering was often replete with stars. But his paintings for Mr. Fix It—a mechanic shop and once a Hi-Speed gas station on West Warren Street—were his masterpiece. The artwork was tagged by Gasm, who until recently was one of the most prominent taggers in Detroit. The abandoned shop was later painted grey by the city’s anti-graffiti task force. In 2018, I found that the building had been demolished, leaving a vacant lot. Just as in 2016, young white suburban church members still flock to Detroit with paint, lawnmowers, plywood, and tools to board up and beautify houses, to mow lawns and clean debris. 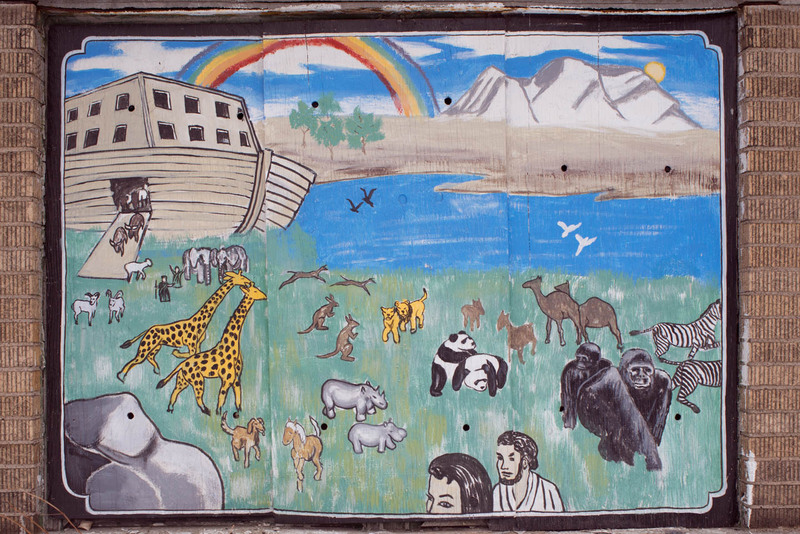 They paint cheerful, playful, and sentimental scenes to temporarily cover decayed dwellings. 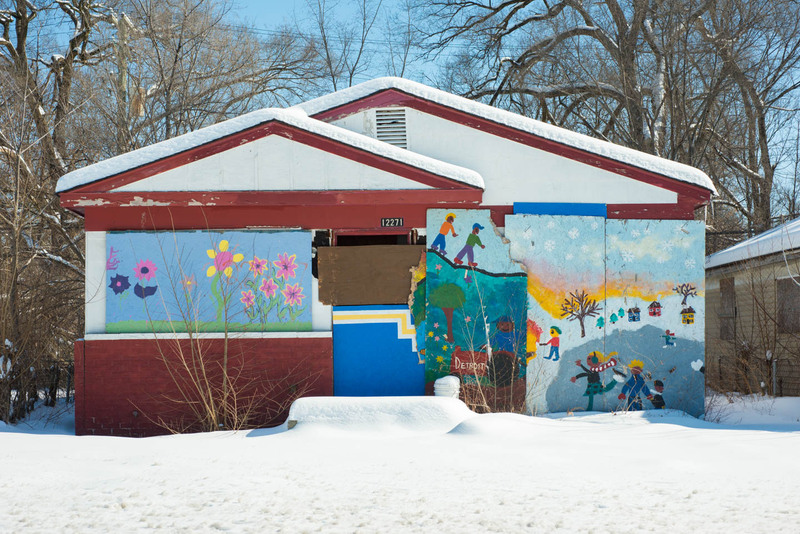 Most often found in the Brightmoor neighborhood, these murals mix words from the Bible with pictures of trees, ocean waves, the sun, and stars. Gumball machines, ice cream cones, and the words hope, joy, and peace blend together on the façades. 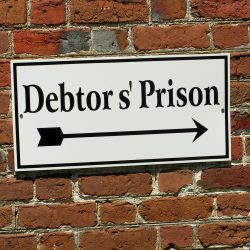 In time, tax foreclosure forms are glued over sunsets, and on one house, next to the words “Let Your Light Shine,” I saw dirty insulation, old mattresses, and ripped plastic siding. 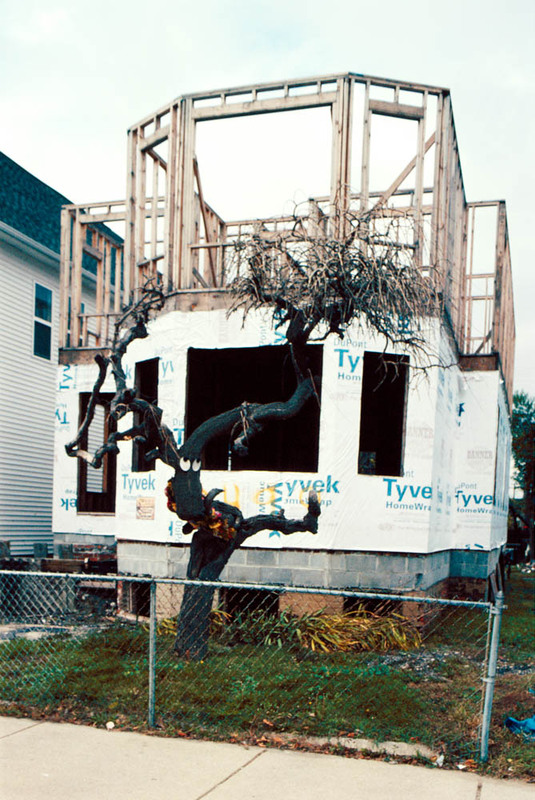 On Grove Street I saw tall trees being razed to make room for a park, part of the City Planning Department Fitzgerald Revitalization Project, named after jazz singer Ella Fitzgerald. 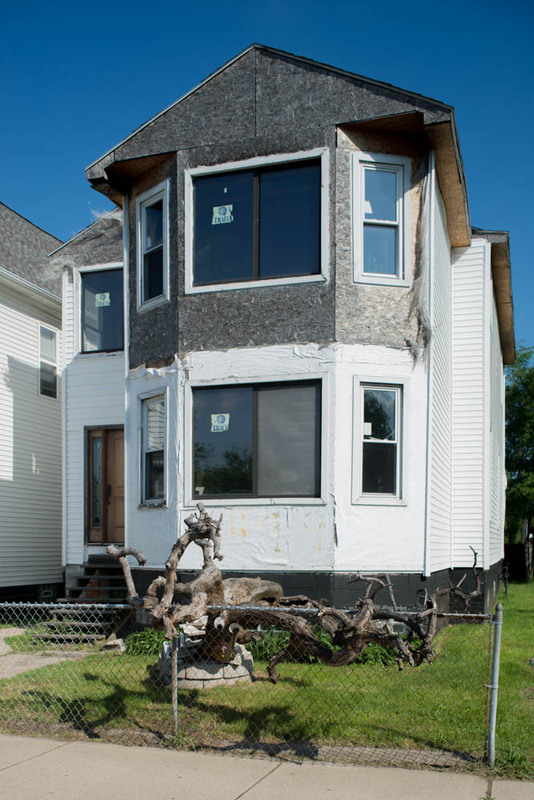 This project aims to revitalize 115 vacant houses in a run-down neighborhood hemmed between two important Catholic colleges, and is the largest neighborhood stabilization effort in the city. 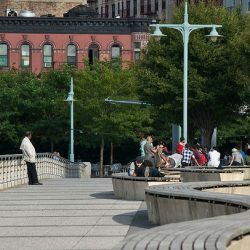 The Fitzgerald Project is the first of similar projects focusing on neighborhoods outside the booming 7.2 square miles. 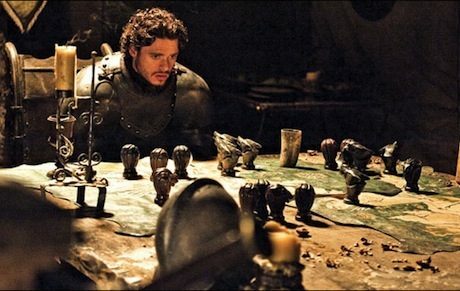 Yet given the meager resources available, such efforts will take a long time and will not be able to stop abandonment. The Fitzgerald project has only $4 million; in comparison, the estimated cost of renovating the single downtown block with the Book Tower and Book Building is $313 million. My favorite Detroit success story is about the “Moose House,” which is slowly being rebuilt after a fire that took place more than a decade ago. It is a tale of the extended Davis family’s desire to stay together and repair the house, nurse the damaged tree in front of it, and also refurbish the dwelling next door. 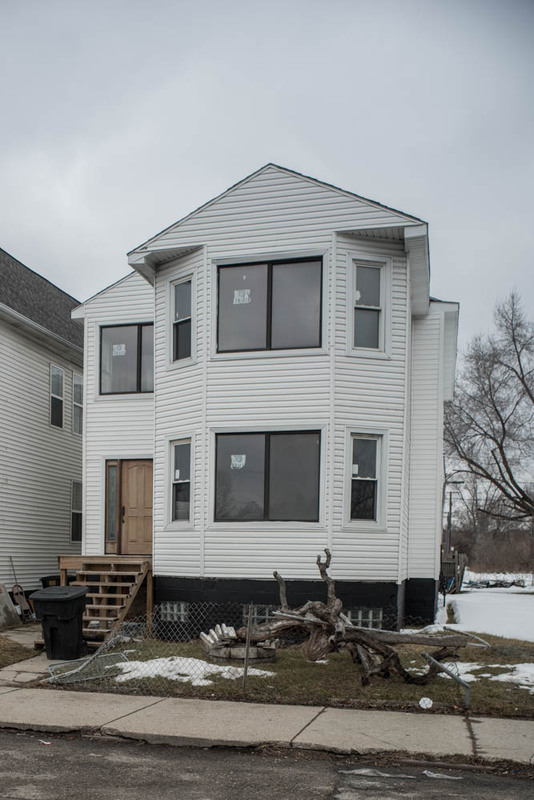 The white two-story house is located at 3497 Mack Avenue, now a sparsely populated neighborhood about two blocks east of Gratiot Avenue, an area where the nearest functioning buildings are two churches and a school. The house is part of a group of four surviving dwellings fenced together. The tree in front of the house originally resembled a moose, and the owners of the house placed eyes on the trunk to enhance the similarity. In 2018 the grass is neatly cut, and although the moose tree lies dead in the front yard, it is decorated with flowers. 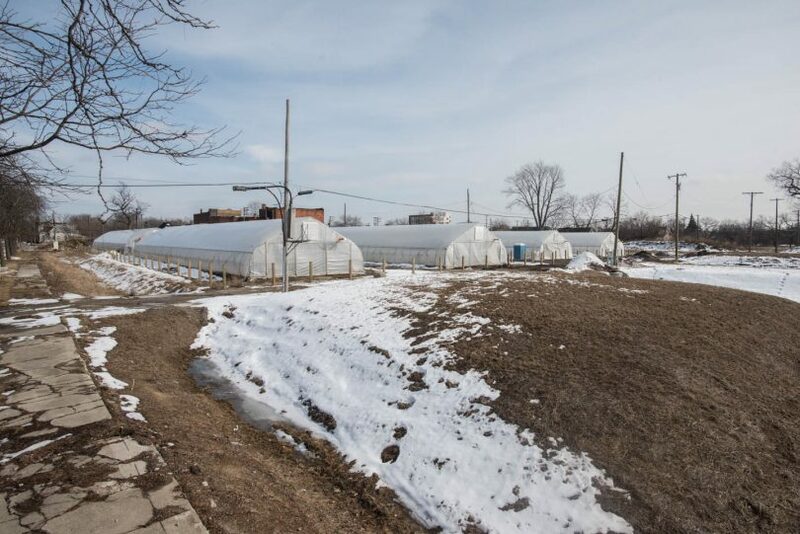 Is this little family compound, surrounded by large plots of vacant land but having its own bus stop, an example of the “city of gardens” that planner Maurice Cox would like to see Detroit become? But not all of the greenery one finds in the neighborhoods comes from local communities trying to revitalize. 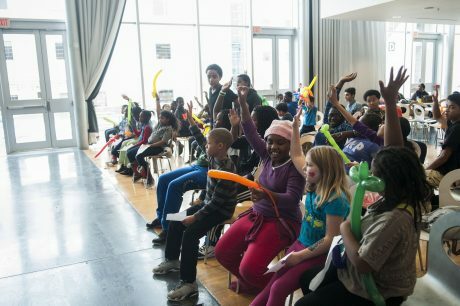 Detroit is a place where a mogul can become famous without having to spend a fortune, and can seem to be doing good for a community without taking into account what the community really needs. An example of this kind of redevelopment is Hantz Farms. Billed as “the world’s largest urban farm,” it consists of 140 acres of thickly planted hardwood trees. To clear the land for planting, Hantz Farms has torn down sixty-two abandoned buildings and cleared debris from the site. Much of the work was done with the help of hundreds of volunteers who brought their own shovels. 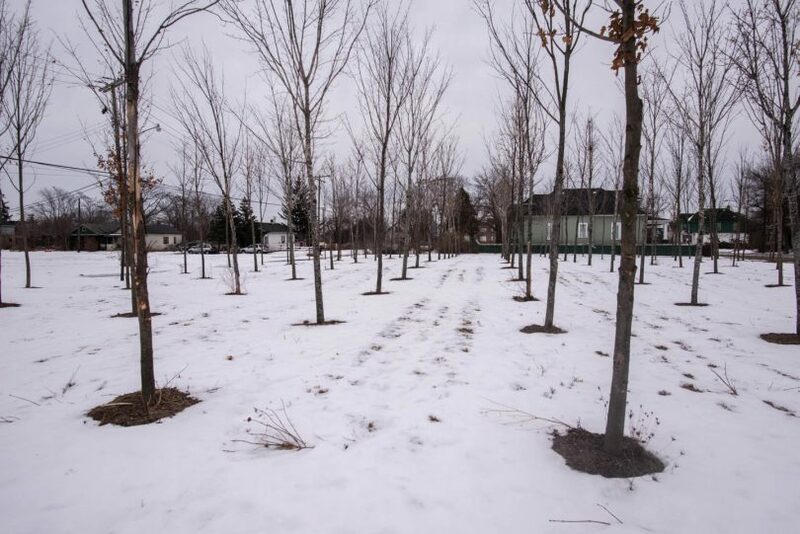 The sight of 24,000 new trees standing out in perfect alignment, in what recently were decayed neighborhoods, took me by surprise. John Hantz, a memorabilia collector and architecture buff, is the controversial sponsor of the farms. 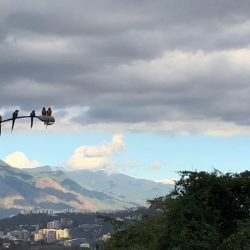 The project breaks the continuity of the neighborhoods, has little to do with the city’s history or architecture, and strikes many officials as the wrong use of urban land. 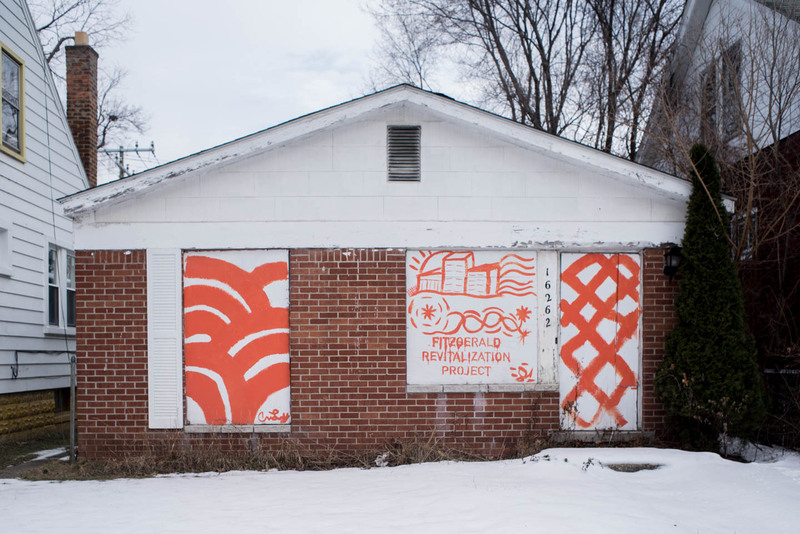 The project was nevertheless approved by the City Council at a time when Detroit had just declared bankruptcy and was unable to deal with the large and growing number of abandoned dwellings. The goal is to “continue to make the place more desirable to live in.” In a promotional video, Hantz claims to be “using forestry for a neighborhood,” and adds that residents living near the farms have already begun to renovate their houses. 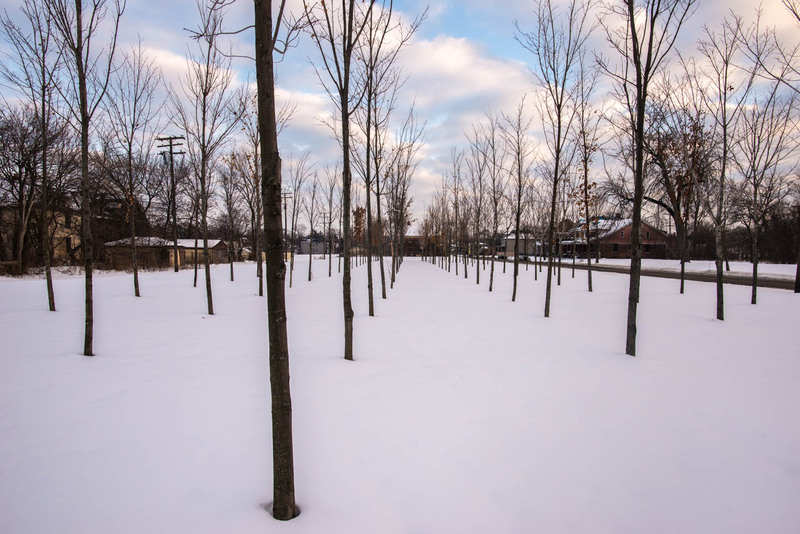 But despite being framed as a contribution to Detroit after the ruins, Hantz Farms is not a park or a garden, and is not family-friendly—for example, I saw no arrangements made for picnics and other gatherings. Some of the open sites already have trees that are 25 feet tall. I am curious to find out if children will play hide-and-seek behind the tree trunks, if birds will nest in the trees and wild animals find refuge. Hantz, by tying his name to such large and distinctive urban area, has created a grand memorial to himself. The cost so far has been small given its huge visibility: $200 a lot plus the cost of cleaning it and mowing the grass, for a total of about $7 million. 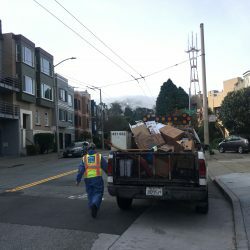 In 2016, Jed Howbert of the mayor’s Jobs and Economy team explained in a Free Press article: “Now that we have a world-class urban planner on our staff in Maurice Cox, we just want to take a step back and re-evaluate our land-use strategy before deciding whether we want to sell large amounts of land.” And so in 2018 the project, now declared low priority by the planning department, is stalled. In 2018, the downtown Detroit of corporations and gentrifiers is still surrounded by the neighborhoods, where residents are often unable to negotiate the overgrown sidewalks and thus forced to walk on the streets. 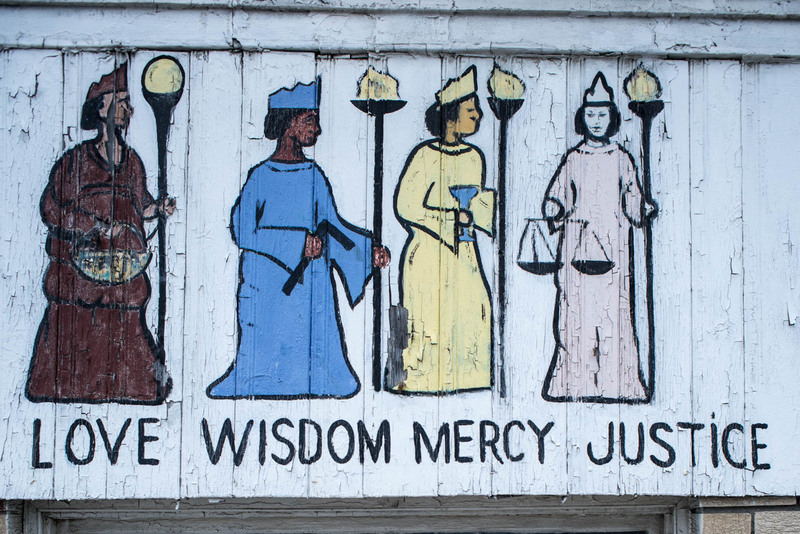 Images of God, Martin Luther King, Jr., Rosa Parks, Barack Obama, and white injury lawyers are still popular on walls and billboards here. Typically, churches offer free meals. By contrast, the imagery in downtown is about high potential, growth, youth, and entertainment, including anonymous black faces decorating the Woodward side of the Shinola Hotel near a trendy, black-owned store called Detroit Is The New Black. In 2018, I saw another telling change: the imagery of downtown is becoming more inclusive. 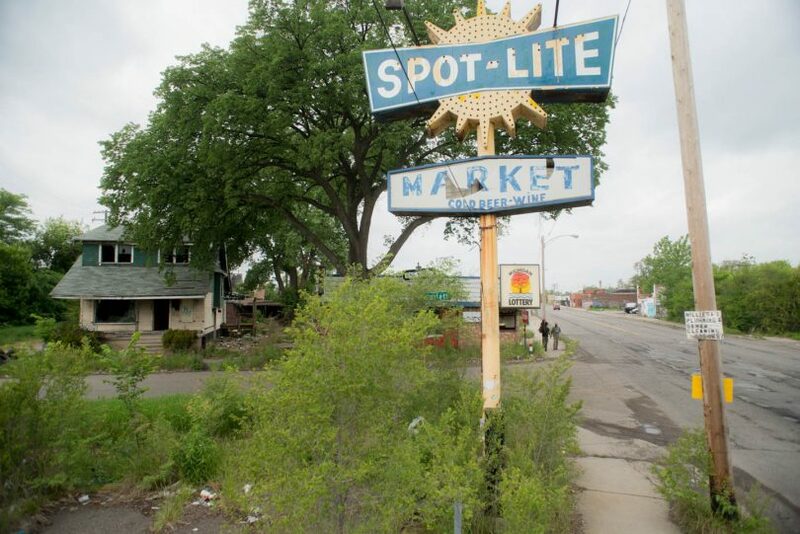 But is it doing enough to capture the experience of Detroiters in the neighborhoods? 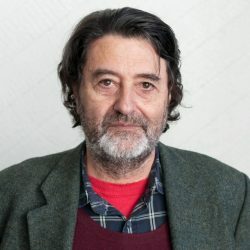 The year before, in July of 2017, there had been a poster on the first floor of the downtown Vinton Building asking passersby to “See Detroit Like We Do.” The poster, placed there by Dan Gilbert’s Bedrock Corporation, showed a group of young people as they strolled along, smiling and taking selfies. A taller member of the group, playing a trumpet, led the group on their way, in what appeared to be a downtown for white people. In this 83 percent black city, the image was criticized for promoting a segregated downtown, for ignoring black people, and for supporting gentrification. A national controversy developed. Dan Gilbert publicly apologized for the “tone deaf poster”—calling it “stupid” and “a distortion of his company’s vision”—and killed the campaign. Recently, the voiceovers in Bedrock videos always feature black voices in an effort to seem woke. The voiceover in the 2016 Bedrock video “Brush Park,” a neighborhood next to downtown, says: “The Vision of what is to come is just so exciting, it’s just so exciting.” The words energy, soul, mission, sacred, and dreams are repeatedly used in these self-congratulatory advertisements. Bedrock’s short video about Detroit, “Anthem of Us,” has the camera panning over the city to slow and solemn music. It reminds me of a religious service. 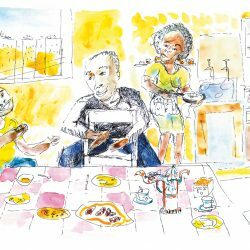 Yet ignoring the contributions of black residents of the ghetto, their efforts to hold on to their homes and businesses and to express themselves in murals, churches, and advertisements, creates a distorted view of Detroit. 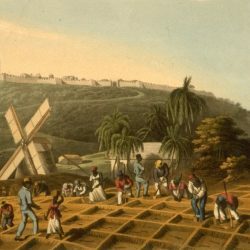 The history of poor, segregated communities is reduced to what billionaires and city officials plan, what the media reports about crime, and to the work of foundations eager to show that they are being useful. 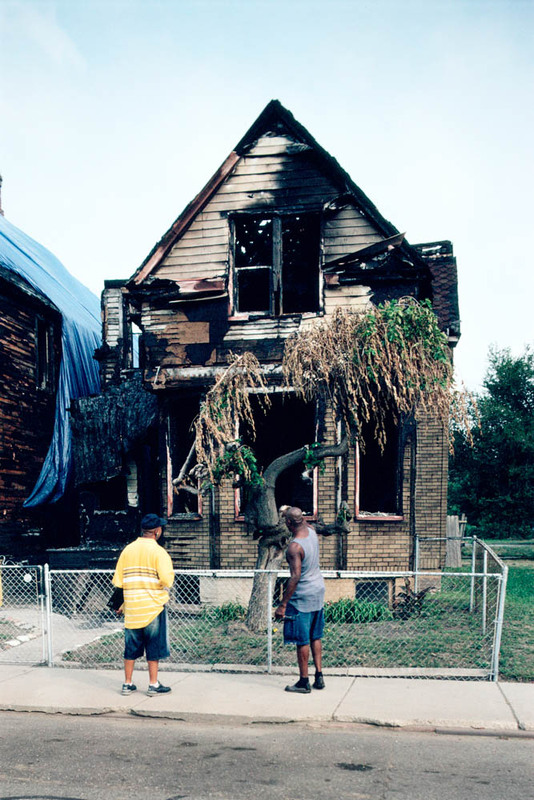 Detroit needs a much broader “Anthem of Us.” It needs an anthem of survival. This article updates the account shared in Vergara’s book Detroit Is No Dry Bones, published in November 2016. 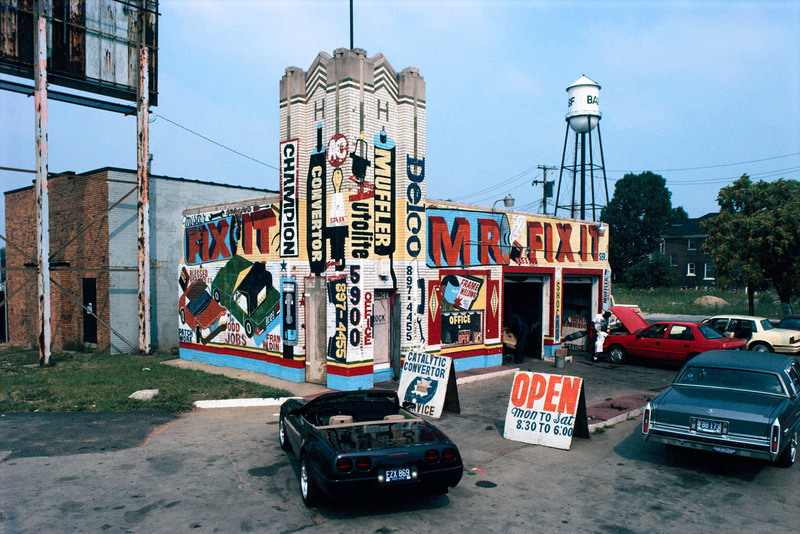 His exploration and photographs of another surviving city—Newark, New Jersey—can be found here.